Sesikinaga Lake | Northern Wilderness Outfitters Ltd. 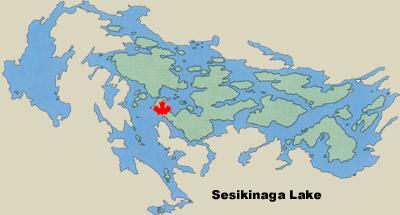 Located about 190 miles northwest of our airbase, Sesikinaga (Sessi) Lake is one of the most beautiful lakes in Ontario. This lake is filled with many small islands too numerous to count. These islands are the calving grounds for many woodland caribou that live in this part of Northern Ontario. We have built a brand new 3 bedroom outpost cabin with a huge deck area overlooking this sparkling gem in the wilderness. This cabin is equipped with hot showers, running water, solar lights, gas BBQ grill, gas fish cooker, 2 refrigerator/freezers, huge kitchen table, comfortable lounge furniture, large 14-foot boats with padded swivel boat seat, and other comforts of home. 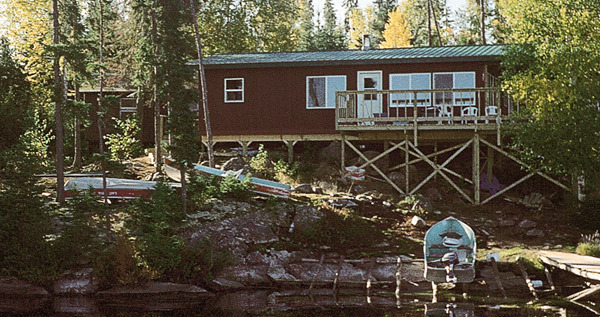 For the fishermen that want some great walleye and northern fishing and a chance to see the rare woodland caribou, Sessi Lake should be on your list of lakes to fish and explore.